Each The u•groom® Cat Combo Bristle Brush includes a tie card for easy retail. 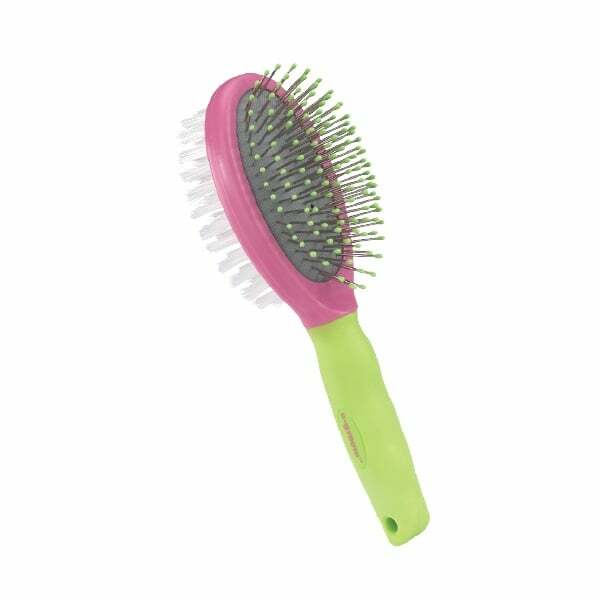 The u•groom™ Cat Combo Bristle Brush is an all-purpose cat grooming brush that features a double-sided design for versatile use. Brush has stainless steel pins on one side and bristles on the other.